The plan I'm hoping to instill is that on the last weekend of the month, the East Midlands has a decent run out with a touch of grub so we can get to know each other better, give these cars a bit of a breather and enjoy them as they should be enjoyed. As the group grows and the attendance (hopefully) increases, then the start points will be spread around so that not one person is favoured. 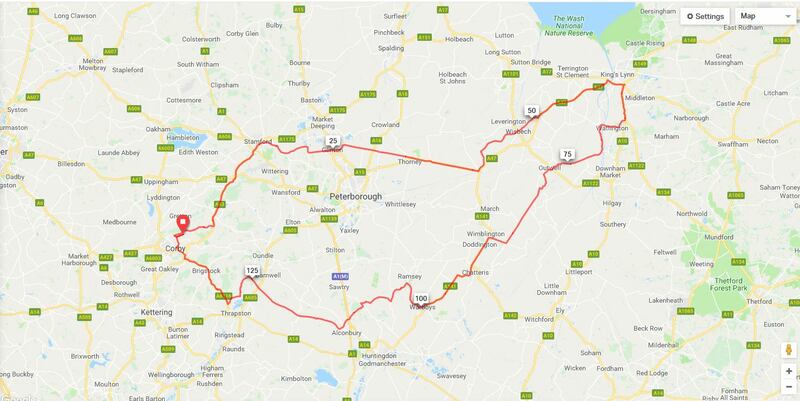 The date is Sunday the 30th September at about 10am outside Phoenix Parkway Retail Park in Corby (NN17 5QT) where we'll head out in convoy using a combination of A and B roads to King's Lynn. Once there we'll stop in The Winch pub for a carvery (vegetarian options available) for lunch. The route back takes us south of Peterborough and back to Corby. How many miles you planning on covering Jay? Interested .......... will check calendar to see if i'm clear - deffo sounds like a great run ! If its ok to bring Kid and dog, we will come along (2 cars) : have checked with pub and they are fine with dog in the bar side. Just not sure how club feels about dogs n Kids ? Won't be offended if its not normally allowed. Oh darn I am volunteering at the athletics that day getting javelins chucked at me or long jump sand kicked in my face ;-). Still, it is in Peterborough so if the timing works i might at least be able to join for 30 mins or so. Also I will probably be doing some videoing at the athletics for work (many hats) with a giant camera so, again if timing is right I can film you all driving past!